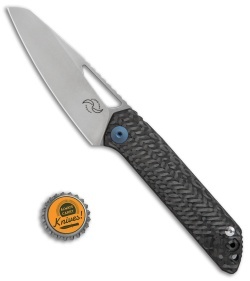 This KUF model is outfitted with a carbon fiber handle and a stonewashed sheepsfoot blade. The Liong Mah KUF(Kitchen Utility Folder) features a sheepsfoot style blade inspired by the lower edge profile of a chef knife. 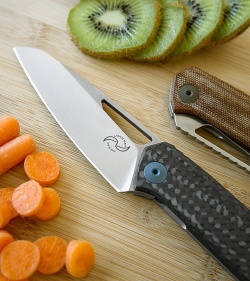 With this design he took the versatile functionality of the chef's blade and applied it to an EDC folder. 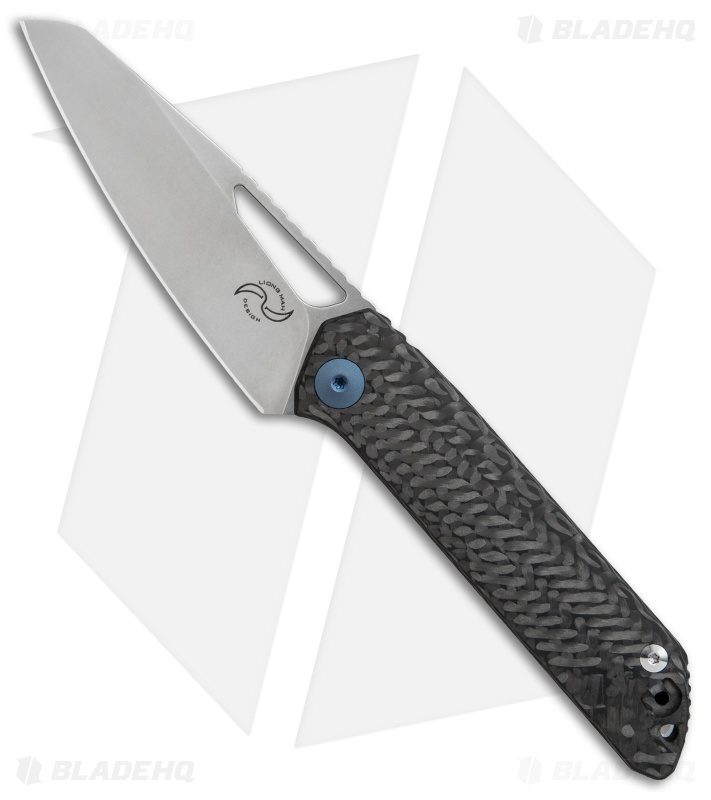 It has a titanium frame lock handle with a steel reinforced lockbar and a carbon fiber top scale. A milled titanium pocket clip rounds out the stellar design. 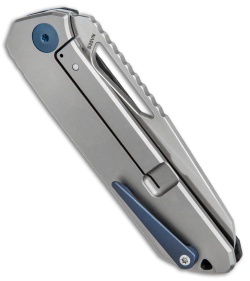 Reversible pocket clip and thumbhole provide fully ambidextrous use and carry. 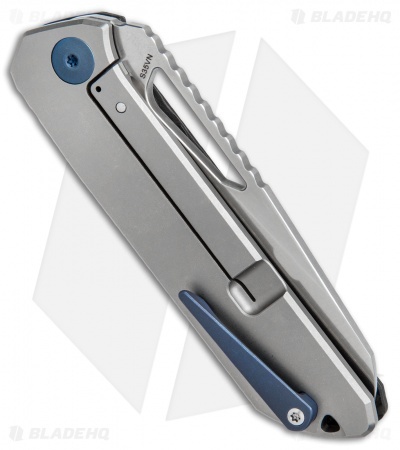 Steel reinforced lockbar for solid lock up you can trust during your toughest jobs. 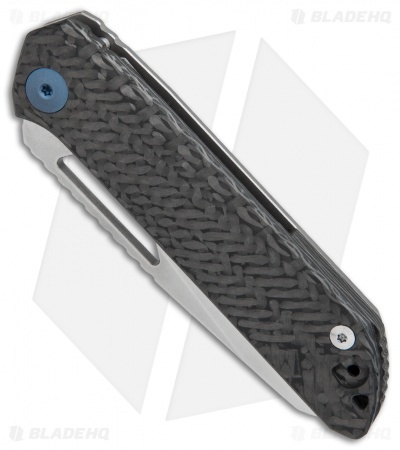 Modified sheepsfoot blade offers a versatile edge for any EDC cutting chore.